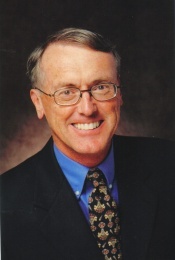 Don Gilbert has over 25 years of experience managing not-for-profit organizations, the last 19 of which have been as the principal of a full-service association management company, Gilbert Association Management, LLC (GAM), formerly Donald H. Gilbert & Associates. GAM specializes in the day-to-day management of associations. We offer personal service that is responsive to the specific needs of your association and yet is flexible. Our philosophy as an association management company is to provide clients with exceptional executive management services and support staff at reasonable rate. GAM has low operating overhead so we can pass cost savings on to our clients. We are dedicated to our clients and our personal attention to details is highly valued by our clients. Our success is due to helping clients to be successful by providing expert consulting, outstanding client care and delivering information through clear, concise communications. GAM recognizes that administrative expenses are an important concern of all its clients. It is committed to providing cost-effective services. Rates may be negotiated based on factors such as full-services, volume of services and other factors. Centrally located between Orange County and Los Angeles, GAM’s fees are competitive (or better) with other association management firms in the area. A professional service company that specializes in providing management services for associations on a fee-for-service basis. Provides the staff, administrative support, office space, technology & equipment an association needs to operate efficiently. Why utilize an Association Management Company? Allows leaders & volunteers to concentrate on their passionate involvement with the association instead of administrative tasks. Affordable professionalism, management expertise & technology through shared resources. It's win-win! Flexible services: an AMC can help you manage everything, or just parts of your association (like membership or finances). Get help exactly where you need it and when you need it. Changing industry/association attitudes pose challenges that require creative and targeted strategies. Is your association poised to capitalize on these new opportunities? An AMC can help. © 2019 Gilbert Association Management. All Rights Reserved.